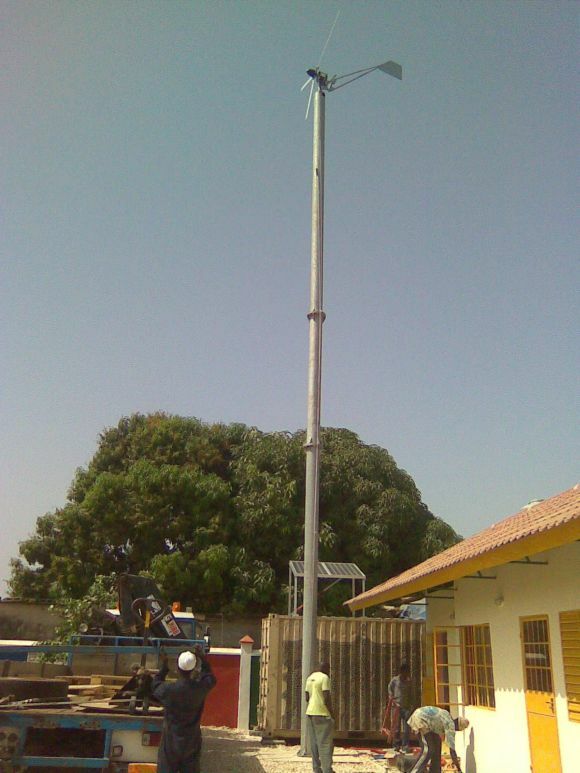 The Wind Turbine has been installed in Sinchu Alagie. 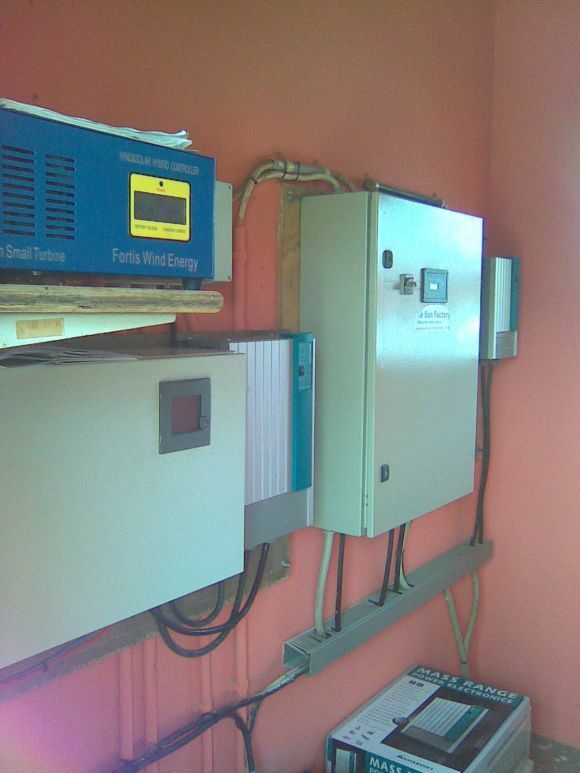 A Fortis Passaat 1.4 Kw has been installed in combination with the existing 2.8 Kw Solar System. The Wind Turbine control panels in Sinchu Alagie.